The hand prosthesis, has been developed in Pakistan utilizing local resources and off the shelf components available in the local market. The hand utilizes glass wires, rubber bands and standard Velcro strips which can all be sourced from the local market. LFA is currently testing its high fidelity prototype and once the design is finalized all the 3D components have been made available on the website so anyone, anywhere can replicate and manufacture these parts and use them. 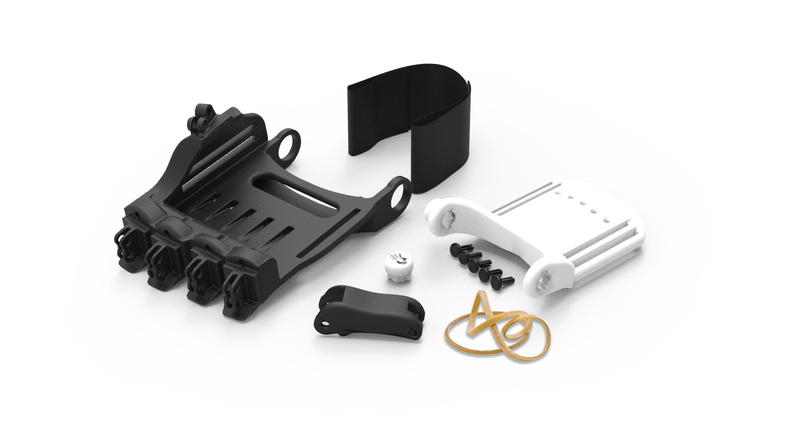 The parts can be easily 3D printed or CNC machined. LFA has ambitions plans to scale the production to masses via molding however that would require sufficient expenditure which we would hope our community will help us with in due time. 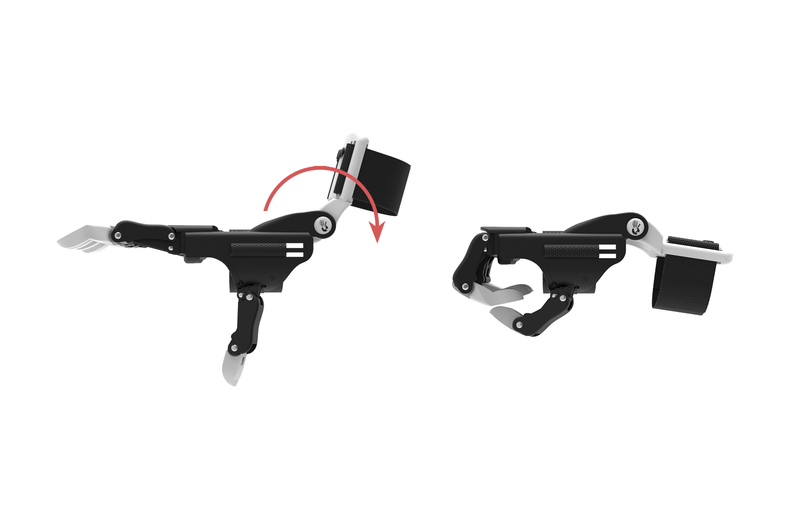 The P-001 leverages the wrist movement to generate the grasping movement.This is a pretty straight forward assembly assisted by harnesses and rubber bands. The P-001 is ideal for patients who have lost all their fingers but the palm is still intact. We will soon be uploading the full assembly details alongside the 3D CAD files for the P-001. The video showcases our 2nd prototype for the P-001. This is a fully functional prototype and is currently being tested on patients for design improvements. Once the P-001 design is frozen, the hand components will be sent for mass manufacturing so we can make this as affordable as possible. LFA is grateful to Marriala consultants for extending their support in 3D printing the P-001 free of cost. The prototype was tested on Mrs. Rukhsana for feedback and general proof of concept. The prototype performed fairly well as the amputee was able to grip objects like water bottles and boxes. 1. A fully functional inverse kinematic mechanism driven by the wrist. 2. Successful grasping of objects like bottles and boxes. 1. Not able to grasp smaller objects. 2. Not a very firm grip on objects due to only a finger and thumb assuring the primary grip. 3. Ergonomics and comfort were lacking and the aesthetics need to be improved so this becomes both functional and realistic looking. 1. We are looking to redesign certain aspects of design so that we can make the hand less bulky. 2. We will be improving design of the palm to ensure better grip even for smaller objects. 3. Adding cushion to the base so that wearing the hand is more comfortable and ergonomic. 4. We are also looking to incorporate differential system so that the hand will ensure grip by all five fingers. 5. We are looking to connect with rubber or silicon manufacturers to design the outer body of the hand so it looks realistic.